A product that is poorly designed, poorly manufactured, or contains inadequate or misleading warnings and labeling can cause serious personal injury or death. Manufacturers have a legal responsibility to produce products that are safe and that contain adequate instructions and warnings about their use. A manufacturer’s failure to comply with its legal responsibility can cause devastating consequences to consumers who use its products. Product Liability cases are among the most complex and challenging from several perspectives: (1) Factual investigation of the incident: How did the product malfunction? Did the consumer do anything wrong in his use of the product? Did anyone else contribute to the cause of the incident? (2) Technical and Engineering investigation: How should the product have been designed to make it safe for use? What warning labels would have been most effective for the product? (3) Legal understanding of what must be proved in order to recover, and retaining qualified expert witnesses to assist in proving the case; and (4) Legal understanding of what damages are recoverable in the case. If you or a loved one have been injured as a result of a dangerous and defective product, it is important to hire an attorney who has experience with product liability cases. 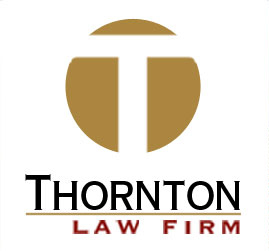 Steve Thornton of Thornton Law Firm has obtained significant recoveries in many Product Liability cases. To review several of these cases, visit our Verdicts page on this web site. Contact us for a free consultation of a Product Liability case – we are here for you.